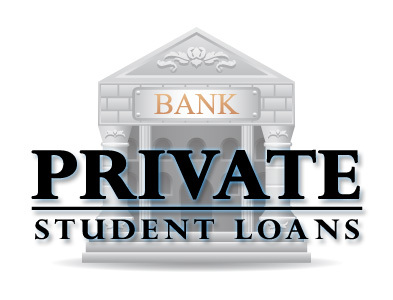 Last Year, 164,544 students were helped by private students loan (around 10 % of total received numbers from any student loans.) 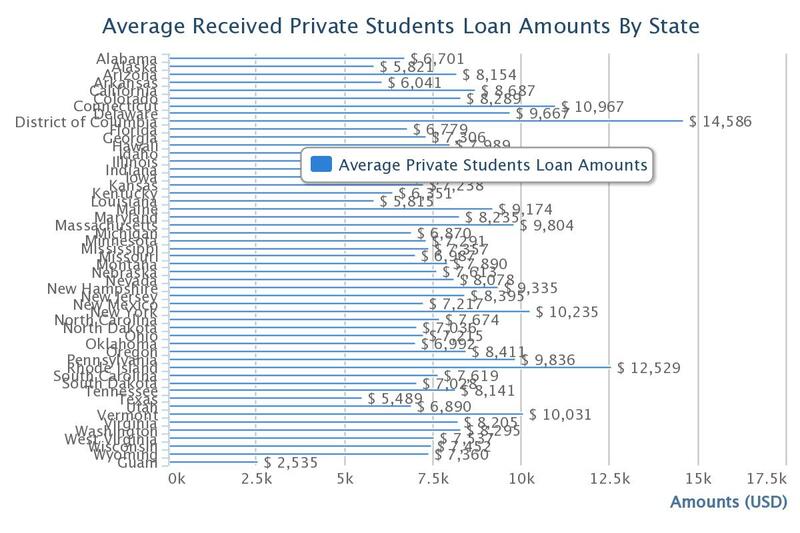 The average amount of received private student loan for all colleges in all states was $ 7,883. 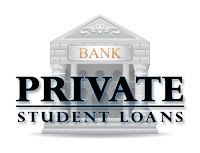 The average amount is higher than federal student loan ($ 5,950). 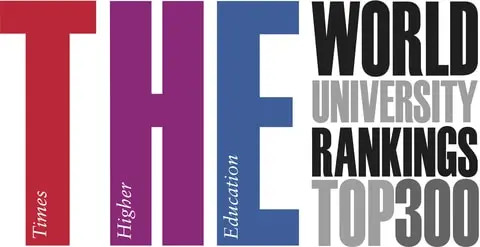 We exclude 5 States or Region - American Samoa, Federated States of Micronesia, Marshall Islands,Northern Marianas and Palau - because no student gets federal students loan in the states.. Chart Image. You can download the chart image as different format by using setting button on top-right corner of the chart.